Thousands of man-made artificial reefs dot the coastline along the Gulf and Atlantic shoreline. 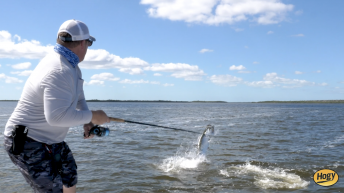 These locations are easily available and often well within safe limits for most boaters to reach, making them perfect for anglers new to offshore fishing. 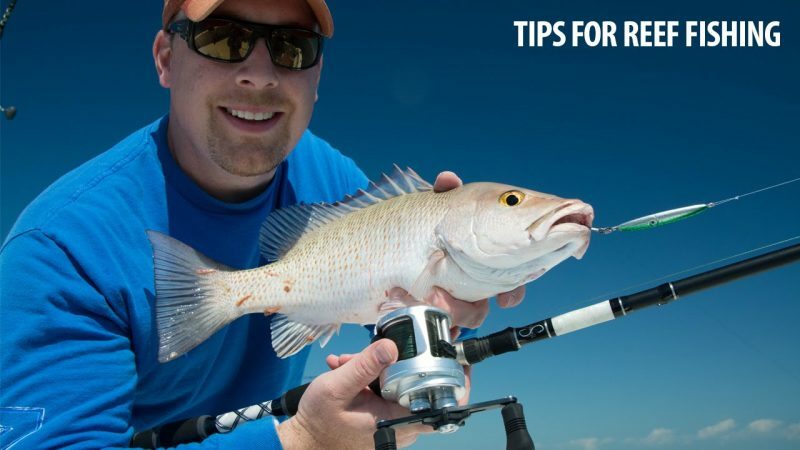 Although these areas receive a lot of angling pressure, there are certain times of the year that provide excellent fishing opportunities for anglers willing to lighten up their tackle and incorporate some unconventional rigging methods to tempt and catch weary grouper and snapper. Near shore fishing improves when water temps drop in the early fall and continue until early spring. 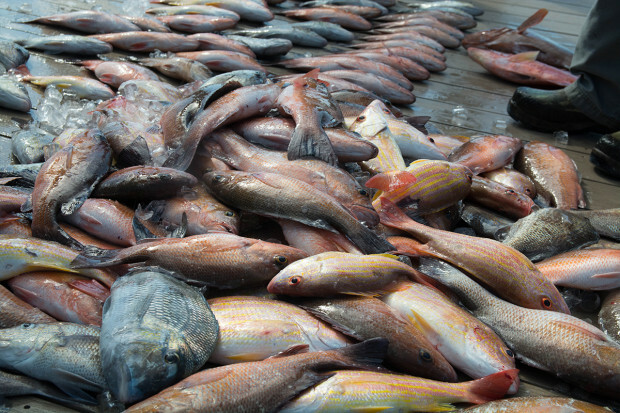 These cooler waters offer comfortable refuge for schools of migrating grouper and snapper. Ideal winter temps range from the mid 60’s to low 70’s. Fish may move deeper when strong northerly fronts move through, then return to shallow haunts a few days after weather has stabilized. Choosing a starting point can be a daunting task. There a few factors that can improve your chances of hitting the right spot quickly. [AGE] Most state agencies will have a database of reef locations, descriptions of what was put on the bottom and a date of when it was deployed. Often, the older reefs can be more productive, having more time to accumulate sea growth on the man made structures, making them more attractive to baitfish and predators. [DEPTH] You don’t need to head far off into the horizon to find quality fish during the winter. Often, great fishing can be had within sight of land. I’ll commonly target reefs in 30’ – 60’ depths. These range from 6 to 12 miles offshore, well within range for many boaters. [STRUCTURE TYPE] There can be a wide array of debris sunk to the bottom. Bridge rubble, culverts, limestone, ships, trains and a variety of other objects have been sunk for reefs. I prefer to target hard structures, like bridge rubble and culverts. These piles often host the heaviest sea growth and generally cover a wider square footage on the bottom, making it much easier to properly anchor over structure. Shipwrecks would be my second choice after the rocks structures. One major downside to fishing wrecks is over crowding. Most wrecks can only accommodate 1-2 boats, while the rock piles and bridge rubble generally have a dozen or more areas to fish within the reef site. 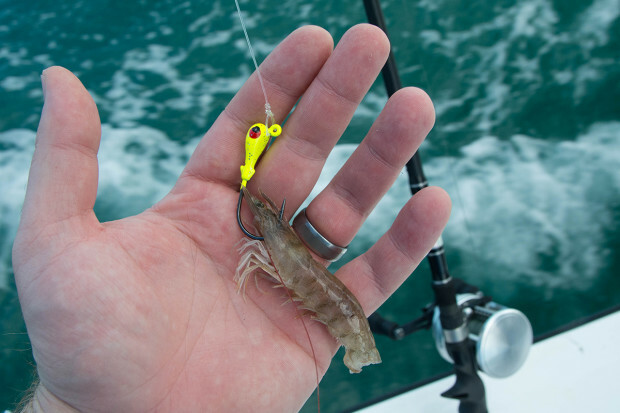 Forget the heavy tackle when fishing near shore reefs. Resident reef fish are generally heavily pressured and line shy. 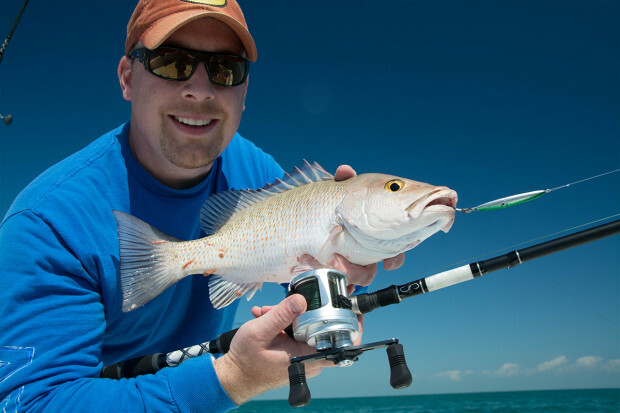 Breaking out your favorite inshore tackle will be more fun and productive for weary grouper and snapper. 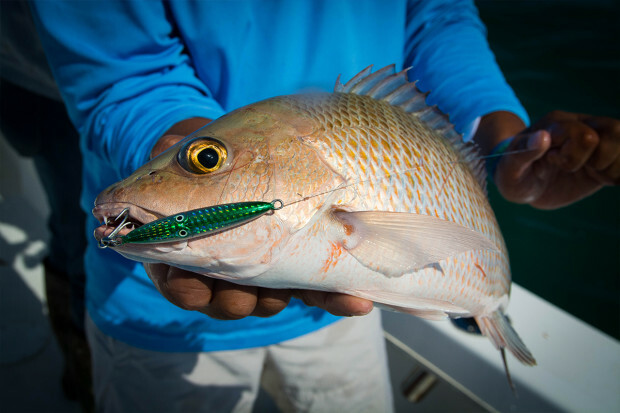 [Gear Down] The number one way to improve your success fishing artificial reefs is using very light tackle. I’ll leave the heavy grouper rods at home and bring out my favorite light weight conventional setup. 30 50lb braid on medium heavy action conventional outfit paired with a high quality reel, like the Shimano Calcutta 400D are perfectly suited for 3-5lb snapper and just legal sized grouper. Not only will you get more bites using light tackle, but it’s a heck of a lot of fun to fish as well. 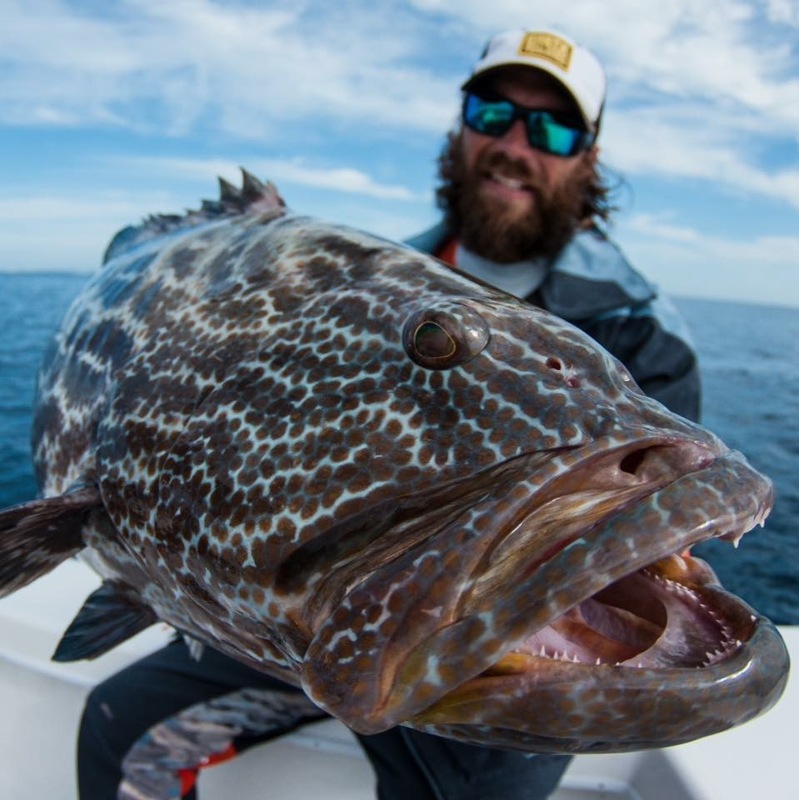 A 26” 9lb Gag Grouper will give you fight to remember on light tackle. [Long Leaders] Don’t be stingy with you’re fluorocarbon, it’ll make the difference between a great day of fishing and a day of frustration. I’ll commonly run a 6’ – 10’ section of 25lb – 30lb fluorocarbon leader, tied direct to my braided main line. These fish have seen heavy leaders and conventional tactics a hundred times. 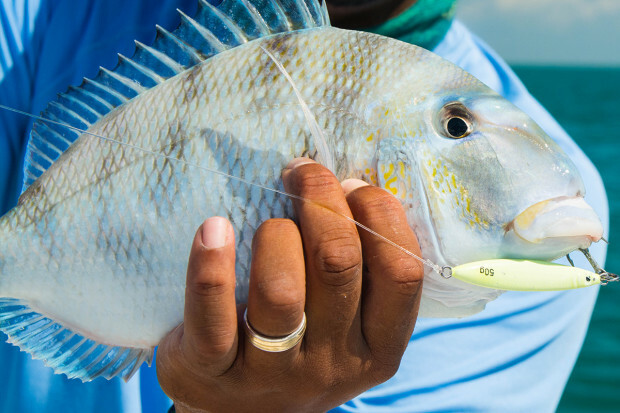 Super light leaders dramatically increase the amount of bites; those fish aren’t used to nearly “invisible” presentations and often bite accordingly. [Fish Light] Now isn’t the time for golf ball sized lead sinkers. Success is all about slow and subtle presentations. I’ll often use a 3/0 – 3/4oz Jig head tipped with shrimp for the best success. It may take a couple minutes for your bait to hit the bottom, but the slow falling jigs are visible to fish from a distance and they will often come in to investigate. Slowly pay out line from the reel using your fingers to feel for a subtle pickup from a fish as the jig is sinking. Fish love an easy meal and become competitive quickly during a feeding frenzy. Deploying a steady, small stream of chum when anchored over structure can make all the difference in the world. Make sure not to over feed the fish, a hand full of chum every 5-10 minutes is enough to keep a school of snapper interested for hours. Frozen ground sardine chum blocks work well, fresh shrimp heads are great for chum as well. The key is maintaining a steady release of chum to keep the fish under your boat and interested in feeding. [Mini Jigging] Once you’ve got a school of fish feeding aggressively, it’s a great time to deploy small metal jigs into the frenzy. Jigs offer a quick, fast and fun way to reach the bottom and effectively target hungry snapper and grouper. My favorite jigs are the SI Squinnow Jig. This small jig weighs in at 2.5oz, heavy enough to get down quickly into the strike zone. It’s small 3.5inch length is small enough for weary snapper to be interested, but big enough for keeper grouper to jump on it as well. Plus, you won’t have to constantly check your bait after each nibble. 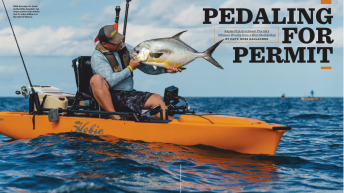 Owner of The Intrepid Angler, Captain Ross hails from the historic waters along the Caloosahatchee River. He has a been a fishing guide and outdoor professional working the waters of Florida and Alaska over his career. 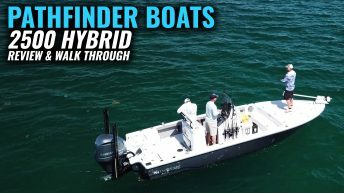 He now permanently resides in Cape Coral offering anglers exciting opportunities to target trophy gamefish around Southwest Florida on a custom Pathfinder 2500 Hybrid Bay Boat.